When you’re leaving West Hartford, CT and need long distance movers to handle the relocation, Woodland Moving and Warehouse Moving can be at your doorstep in no time! Why? Because we live and work here. 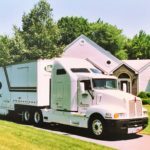 Moving to another state is a milestone that marks the start of an exciting new chapter in your life, but you may feel overwhelmed when picturing the moving process. The last few months were most likely challenging enough as you scoured the housing market, trying to simultaneously snag your dream home and sell your current one. Now that the last of the paperwork has been completed, it’s time to make the move, but the stress of moving long distance may make the transition less exciting. Moving is already stressful, but the extra necessary planning and consideration for long distance moving can make it seem daunting. Unlike simply moving locally, it’s difficult to pay frequent visits to your new house to make sure everything is in order, or to your old house to make sure you haven’t forgotten anything. With other moving companies, much of the long-distance moving coordination takes place over the phone or through email, leaving you crossing your fingers that everything will be in working order when you arrive. 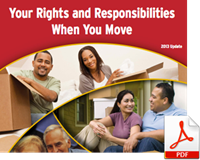 With so much going on during this exciting period, the last thing you need is a less than trustworthy moving company. As your moving date approaches, you need to partner with a company you can trust to handle every detail with integrity and total professionalism. At Woodland Moving and Warehouse, we believe that communication is the key to a successful move. When you work with us, you can expect nothing less than attentive, personalized service from every member of our team. We go the extra mile to make moving to your new home in a different state as straightforward, exciting, and fun as possible! We offer reliable and affordable interstate moving services in West Hartford, CT that are designed to make your life easy and worry-free. We understand that moving anywhere can be stressful, and that’s why we’ve created a simple and straightforward process designed to get you set up in your new home with as few headaches as possible. Free Estimate – We begin by providing you with a free, no-obligation estimate to assess what moving services you require and how much the move will cost you. We use your moving size, distance, date, and more to come up with a fair price for you. Assigning a Move Consultant – After you’ve agreed to work with us, we assign you one of our expert and professional Move Consultants. This individual is the one who will guide you through the entire moving process as smoothly as possible. 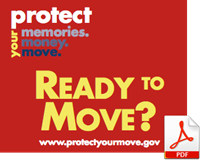 All of our Move Consultants are well-trained and are ready to assist you. 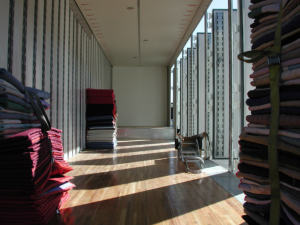 Packing – If you have a lot of belongings and/or don’t have a lot of time prior to your move, we offer packing services! For most moves, we will pack up your house the day prior to your move, but may need more than one day for more extensive packing jobs. We take great care of your belongings during the packing process and will properly place them into boxes, using protective materials when needed. 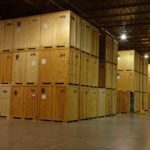 Item Storage – We can offer both long- and short-term storage in our warehouses for any of your belongings that may need to be stored during the moving process. Our warehouses are secure and climate-controlled, so you can rest easy knowing that your household goods are kept safe during the move. Moving – On the day of the move, we will carefully load your boxed goods and furniture onto our trucks and prepare them for the move to your new location. Our expert movers understand how valuable your household goods are to you and will keep them safe during the trip. Unpacking – Once your items safely arrive at your new location, our team will carefully unload the boxes. We can even unpack the boxes and help reassemble your furniture to get you set up as quickly as possible. Do your research: Make sure you understand the logistics of moving to the new state. You should know how long the trip will take, if you’ll need to make any stops along the way, if you need to account for a time difference between states, and more. Pack early: If you’re self-packing, don’t wait until the last minute to pack! Do a little each day, starting with art, books and movies, and any off–season items. Stay organized: Label all of your boxes with the proper room so you can save time and frustration when unpacking. This will also help you keep track of your belongings so that nothing gets lost during the move! Don’t pack your essentials: Prepare a separate suitcase or tote bag with essentials, including important papers, which you can access immediately the day of your move. These resources will further your understanding of the estimate and substantiate the commitment Woodland Moving and Warehouse has towards educating consumers. 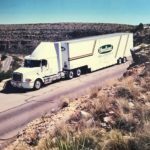 Please visit the Federal Motor Carrier Safety Administration (FMCSA) consumer protection website and click the links below to view the two required publications provided in PDF format.